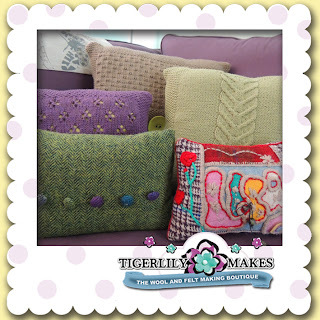 Tigerlily Makes: Cushions O Gloriously Glorious Handmade Cushions!!! Cushions O Gloriously Glorious Handmade Cushions!!! Hello lovely makers, creators and all round lovely people!! Welcome to the very latest's and up to the minute edition of the Tigerlily Makes blog. Here at Tigerlily Towers, we pride ourselves on excellent craftsmanship, not only in the designs we produce but in supporting those in our industry sector, so today I wanted to share with you some amazing handmade cushions. 2 are made with tweed one welsh tweed the other Harris tweed and 3 completely hand knitted cushions that were a custom made especially for our Chief Feltreprenuer. Firstly the green and purple button tweed was a lovely find on a holiday in a village gallery, its made with beautiful welsh tweed and I love the simplicity of using simply elegant design with the natural texture of the fabric. Last but not least the amazingly talented Lesley at Sweet Little Knitted Things who again gifted me these beautiful cushions!! BUT I have to say the whole process was amazing from start to finish. Lesley (Sweet Little Knitted Things) having been knitting for some 50+ years of her life know her knits!! What Lesley doesn't know about knitting isn't worth knowing. So Lesley (Sweet Little Knitted Things) came to visit and she brought along a family heirloom in the form of this amazingly hand crafted, hand knitted patchwork blanket. 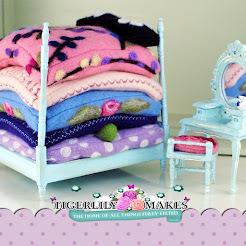 This blanket I have to say is visually stunning... it has beautiful colours you could want and each patchwork piece has been loving crafted to create a bespoke knitted designs on it. What was lovely was that I could literally choose from copious amounts of colour ways and pick and choose which knitted stich I wanted in what format on which ever cushion I chose. It was the most liberating process. 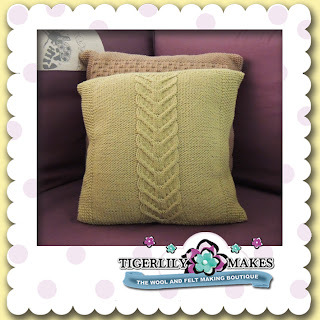 You can keep up to date with Lesley on her Sweet Little Knitted Things facebook page. A little time later 3 cushions appeared in my selected colour ways and designs. So lets not talk about them any more lets just see them in all their glory. Hi Lesley, yes it was a most enjoyable and memorable afternoon and thank you for your lovely comments too! Though it was really down to the pleather of colours, knitted stitch options and combinations that gave me the freedom to put together the selection we did. 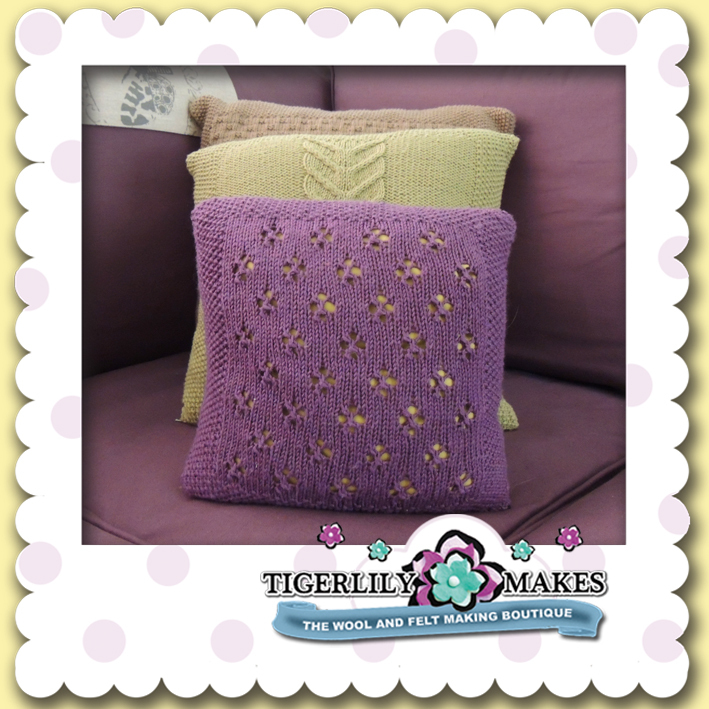 Not forgetting your extensive knowledge on what would work with which yarn for which pattern. Thanks so much I love my new cushions.